I am an 81-year-old man and have recently been told I have an aortic aneurysm, a bulge in a major artery in my abdomen that measures 2.3in and could rupture. I’m obviously worried about this. What can I do? An aneurysm is a swelling, or bulging, of a blood vessel and the worry is it can burst at any time causing catastrophic bleeding. The aorta is the largest artery in the body, carrying blood under high pressure from the heart to the rest of the body. If this ruptures due to an aneurysm, the massive blood loss that occurs can be fatal. 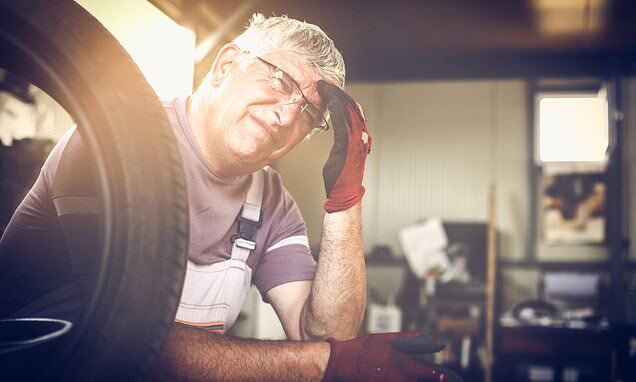 Since an abdominal aortic aneurysm (AAA) can have such devastating consequences, screening is offered for men over the age of 65 to measure the size of the aorta. An AAA usually causes no symptoms and can therefore be a silent risk: some men may experience a pulse in their tummy or some pain but usually there are no signs. The risk of an aneurysm bursting is determined by the size of the bulge and this can be seen on an ultrasound scan, which is much like a pregnancy scan that provides an image of an unborn baby. A 2.3in aneurysm would be considered in the large category, with a 25 per cent risk of rupture. If an AAA is picked up in an NHS clinic, treatment would be offered which would at least involve monitoring, and may include surgery to prevent it bursting.